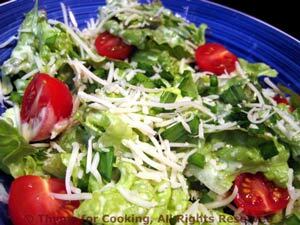 Lettuce Salad with Creamy Herb Dressing, Thyme for Cooking side salad. Snip tarragon and chives with scissors. Add cheese and tomatoes, give it another toss or two and serve.